Have you guys tried the new Shakey's Pizza 1954? 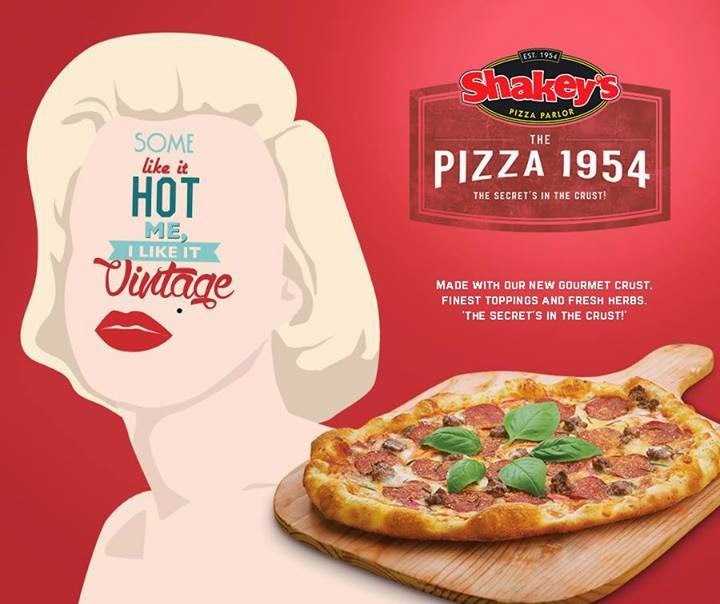 You must have seen the commercial that brought us back to 1954, with the Marilyn Monroe-sque actress enticing us with the new, flavourful, Shakey's Pizza 1954. I was at the media launch held last week (read about it here), and Shakey's (as always!) brought me great memories and an awesome surprise to all the Shakey's fans and one lucky blog reader! Yay! First off, by trying the new Shakey's Pizza 1954, you get a chance to win a mini cooper! (read about it here), plus, with a click of a camera, you can win an awesome prize from my site! Taadaah...!!! I am giving away Php 1,500 GC from Shakey's Pizza to one lucky reader to enjoy more pizza and awesome memories at Shakey's! What you need, a little creativity and your Instagram profile! Upload your photo with the new Shakey's Pizza 1954 on Instagram and add a witty caption! 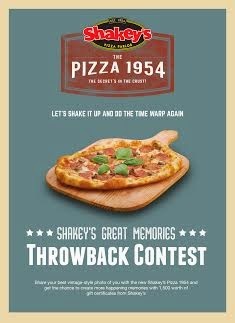 Add hashtags #MyShakeysThrowBack #ShakeysPizza1954 and #ShakeysPizzaXRuthilicious. Make sure that your post is Public so we would be able to see it! Easy right? I will choose the best photo with the wittiest caption who will win Php 1,500 GC from Shakey's. Prize will be delivered at the winner's preferred address.